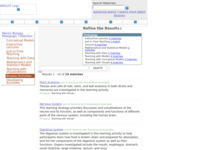 Find resources and teaching materials such as visualizations and tools, and effective teaching methods from SERC projects and collaborators for teaching about evolution across the curriculum. Explore tips, advice, and ideas for teaching this potentially controversial and misunderstood topic, addressing misconceptions, capitalize on the interdisciplinary possibilities for teaching about evolution, and making this topic relevant to students' lives, even if they are not science majors. Click the images above to browse teaching activities and course descriptions related to Evolution topics. Collections are contributed by faculty and may include service learning projects, writing assignments, field trips, course descriptions and syllabi. Teaching Evolution and the Affective Domain - This page provides useful information for teaching controversial topics, with a focus on evolution. 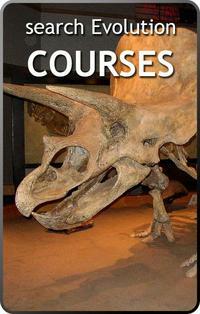 It includes practical advice as well as links to resources with further information outside of SERC. 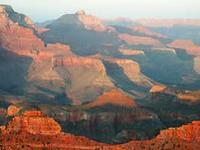 Early Earth Resources for Teaching - This site hosts a collection of links to SERC materials that involve teaching about the early Earth and evolution. 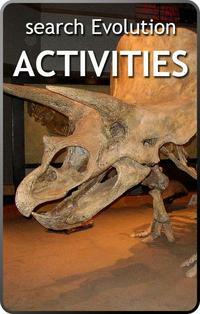 It also contains links to information about how to address creationism in the classroom. 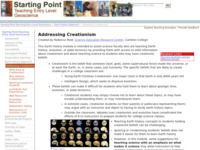 Addressing Creationism - This Earth history module is intended to assist science faculty who are teaching Earth history, evolution, or plate tectonics by providing them with access to solid information about creationism and about teaching science to students who may have creationist beliefs. 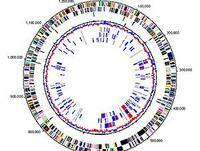 Bioinformatics Online Resources - This page, from the Microbial Life Educational Resources project, features a collection of links to online resources involving sequencing genes and bioinformatics. This project also contains two bioinformatics modules that provide educators with instructions and tools for carrying out a gene sequencing and interpretation project in the lab or classroom. 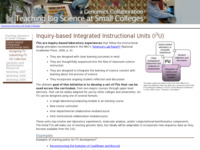 Genomics: Inquiry-based Integrated Instructional Units - This site hosts examples of inquiry-based activities related to the field of genomics. A list of activities from this project include Reconstructing the Evolution of Cauliflower and Broccoli and Modeling Molecular Evolution. 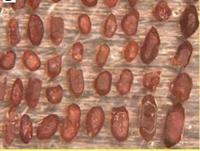 MERLOT - Biology Activity Collection - This site is an entryway to a small collection of teaching materials and contains several examples of activities that involve teaching evolution in a biology course.